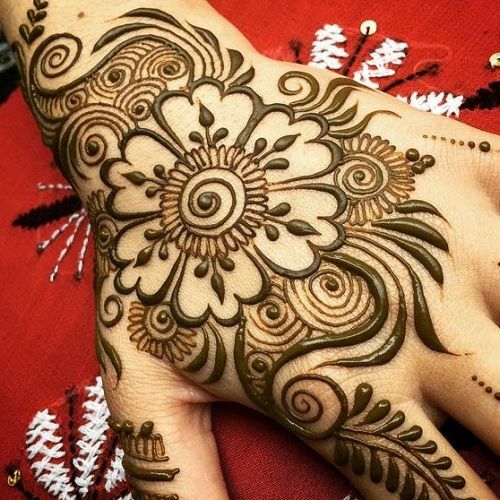 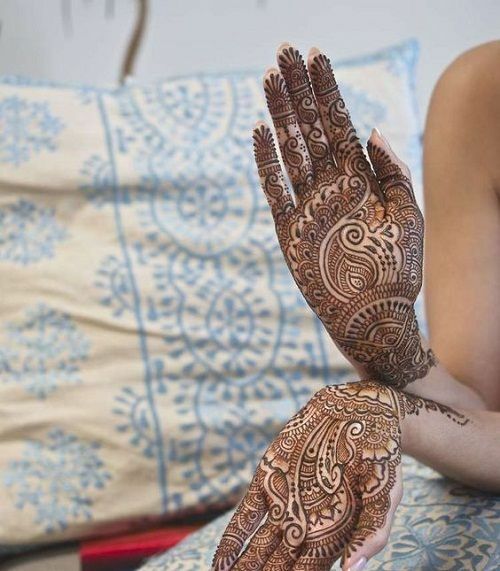 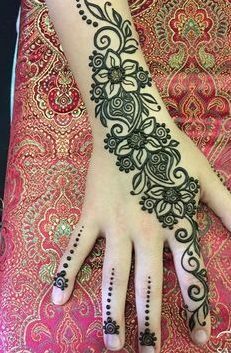 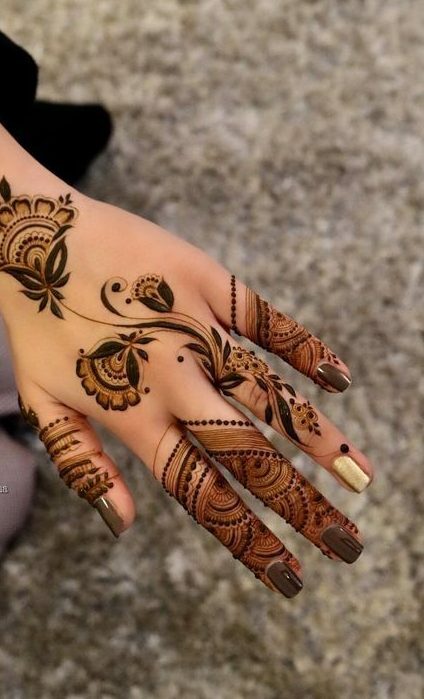 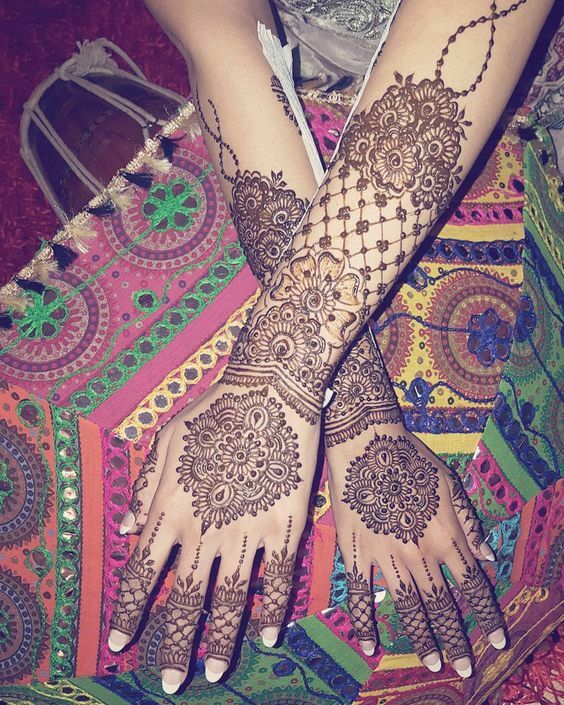 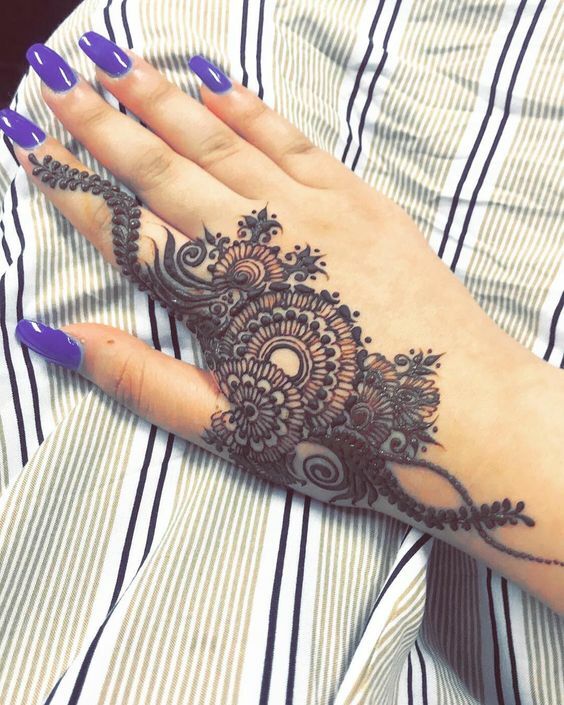 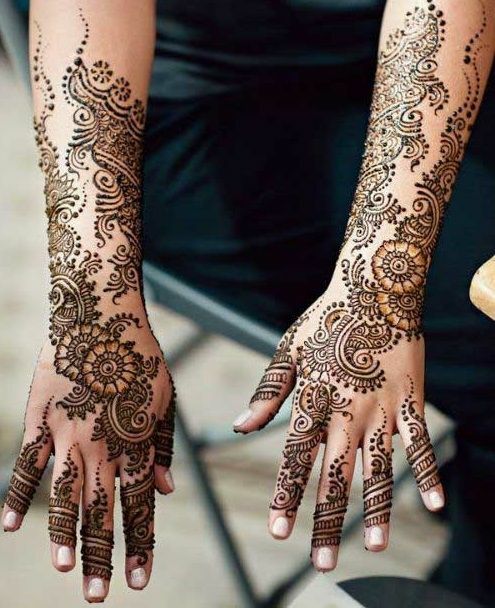 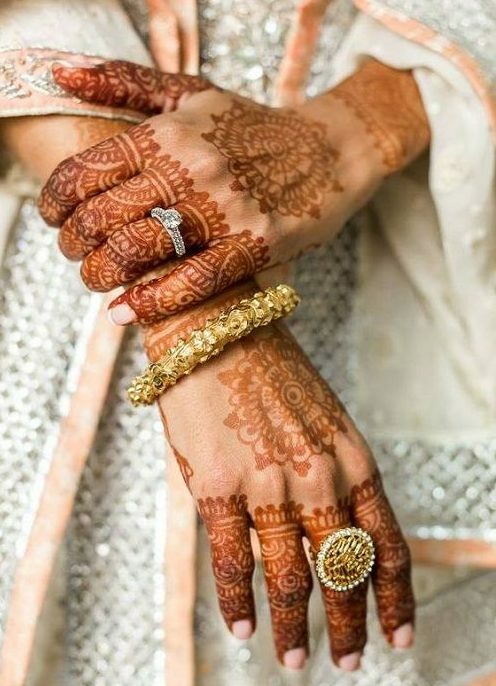 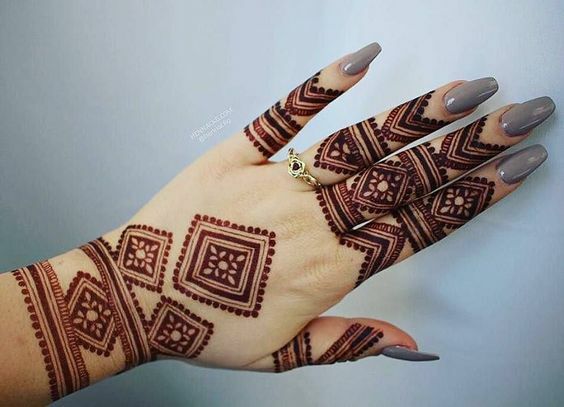 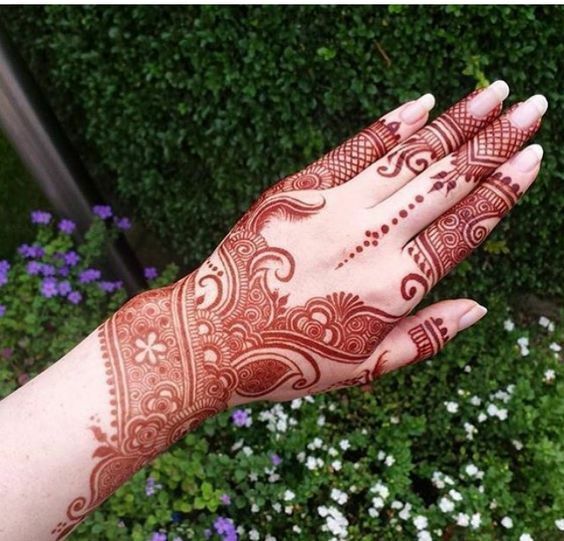 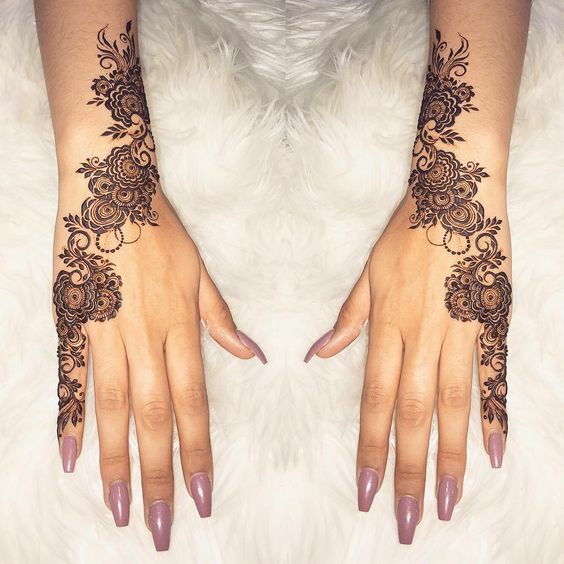 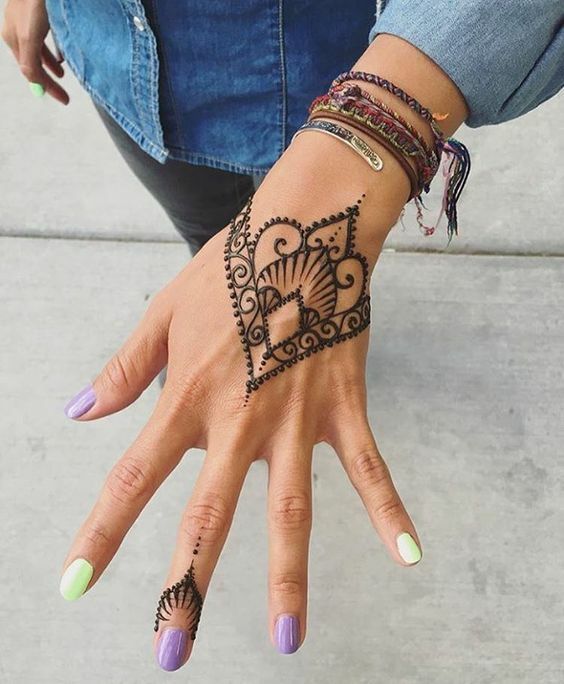 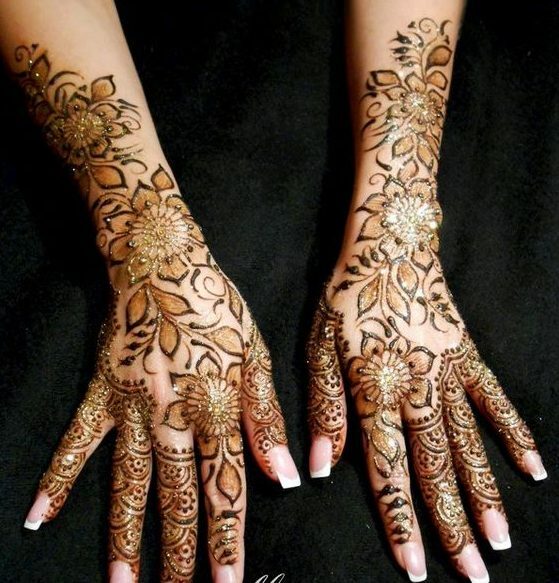 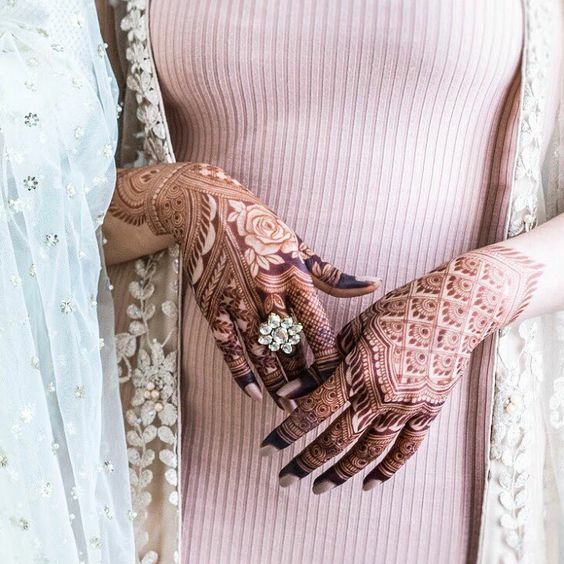 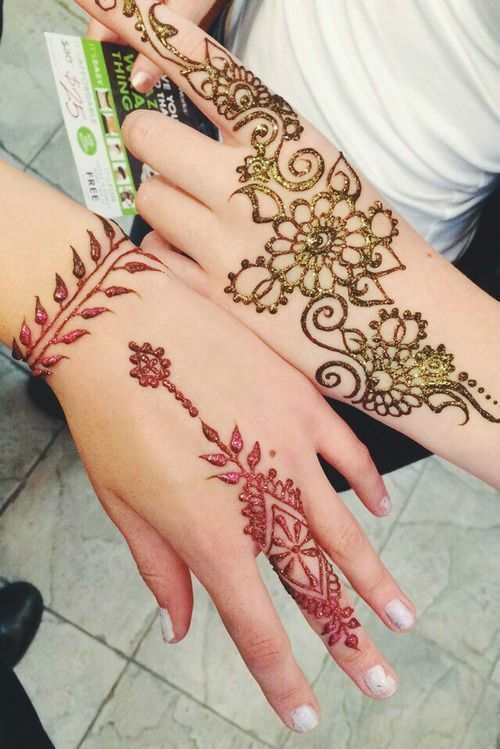 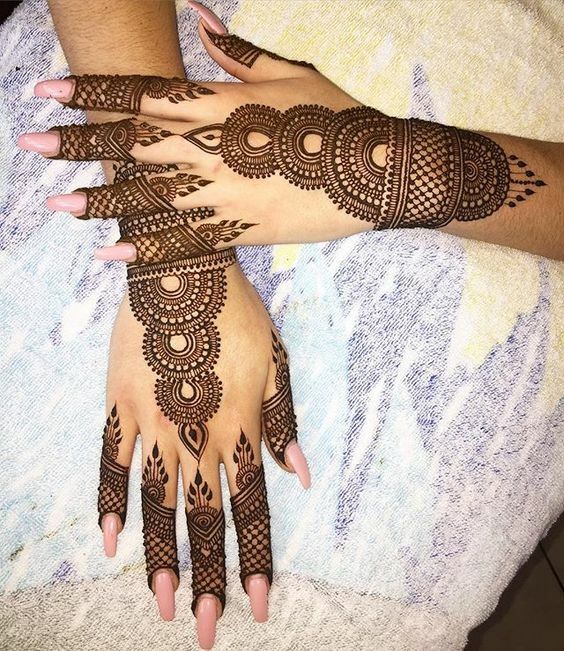 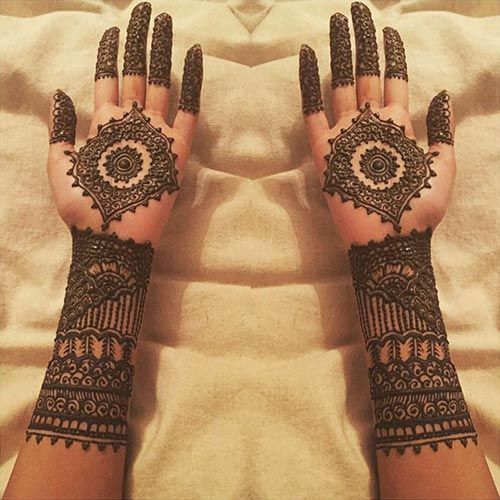 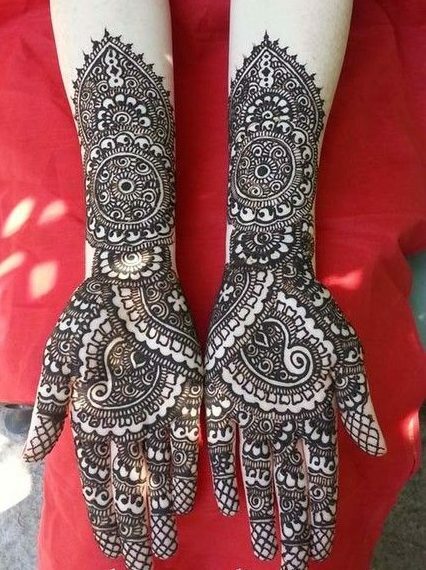 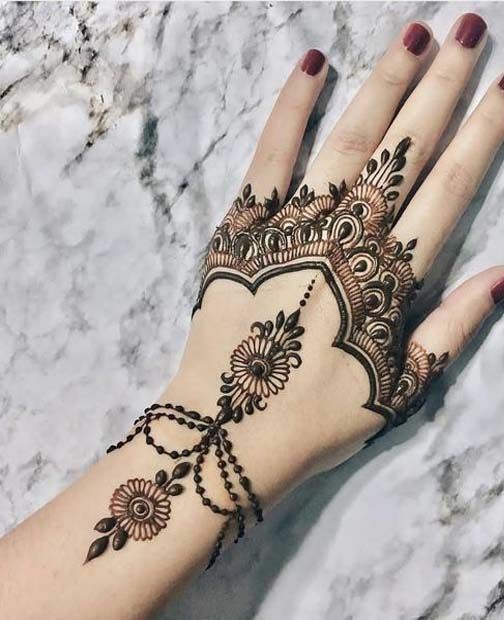 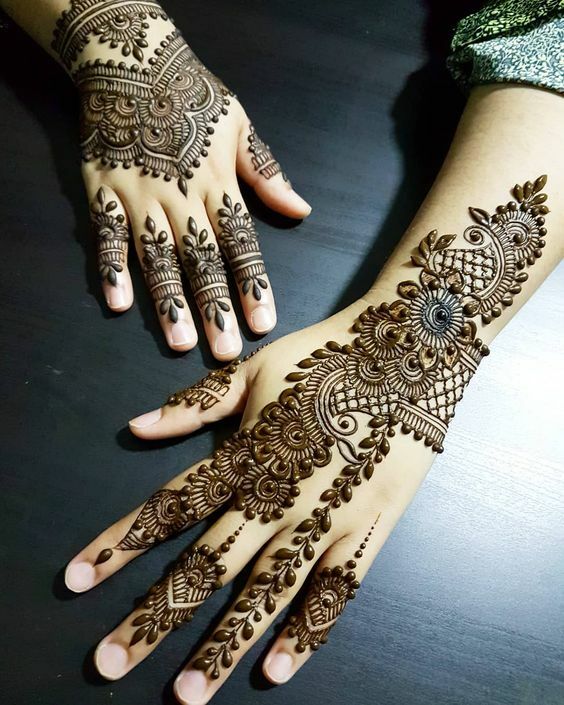 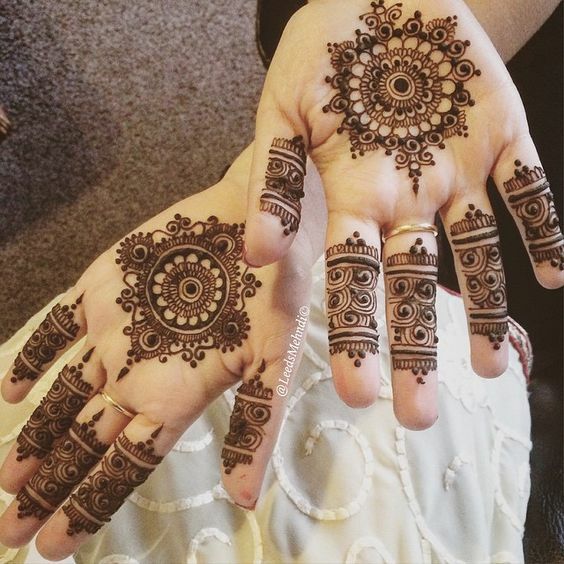 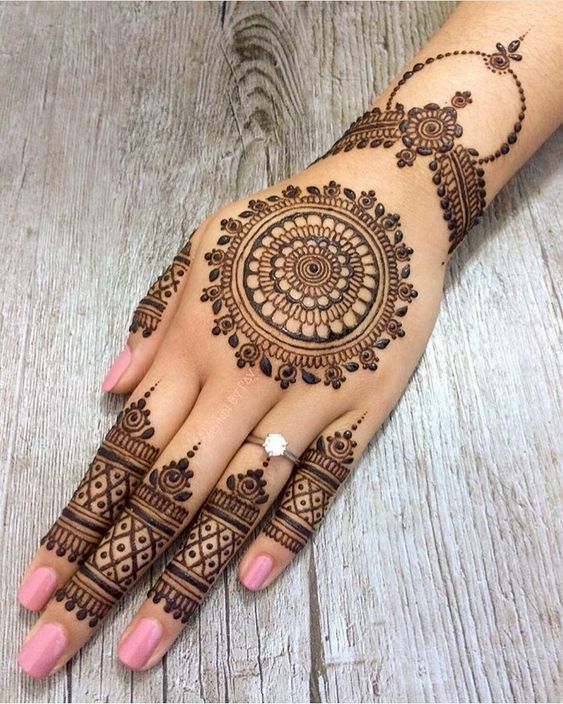 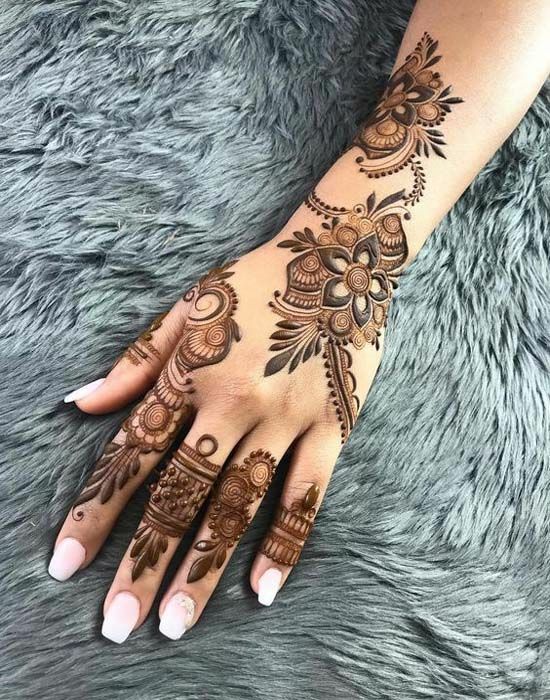 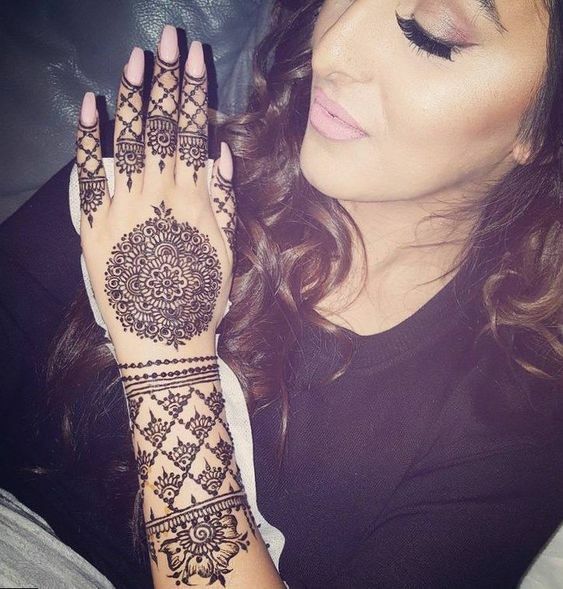 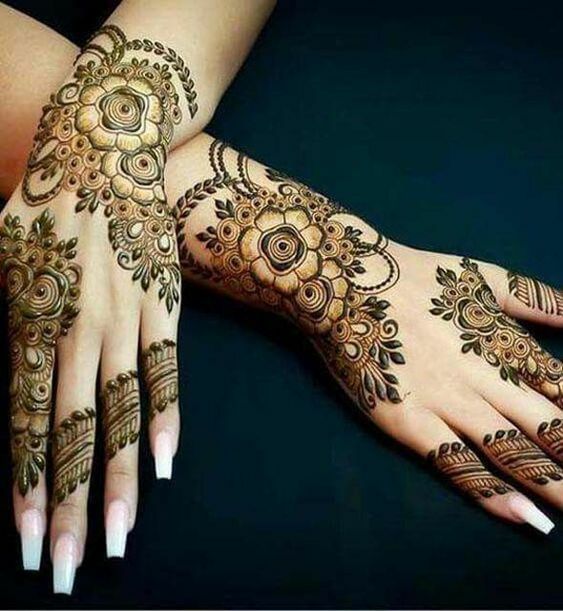 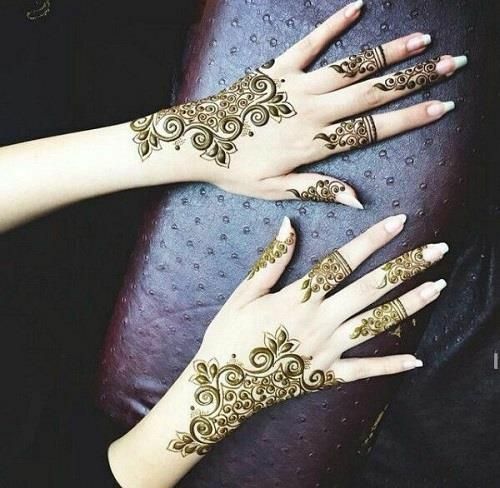 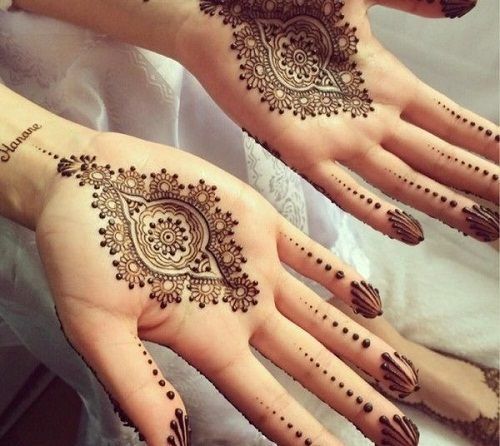 A mehndi looks hundred times prettier when it is made with tiny and beautiful detailing and has little patterns enclosed in a design. 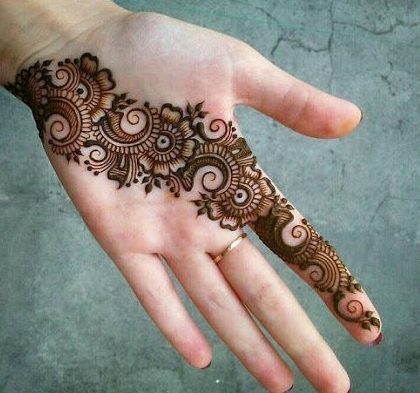 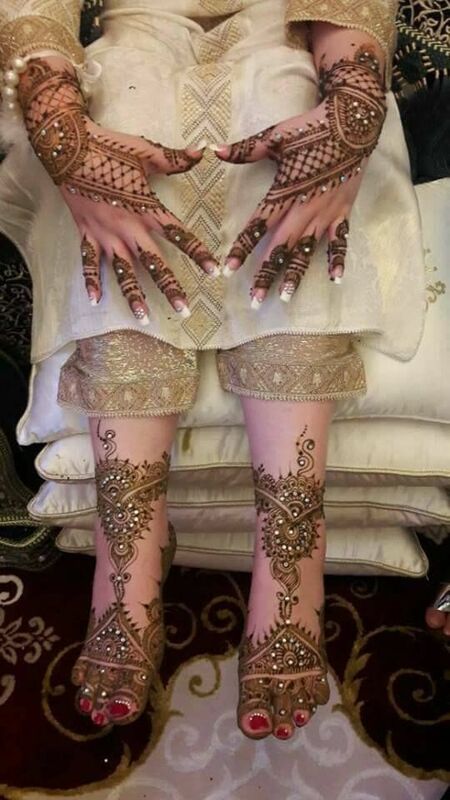 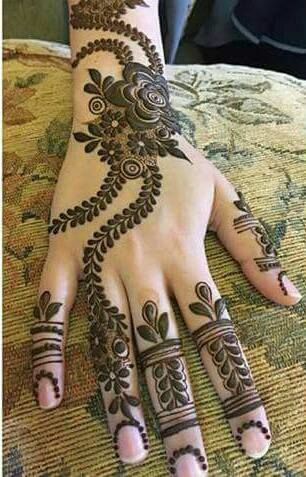 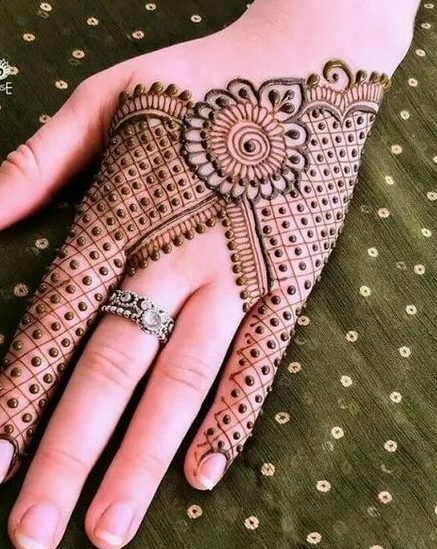 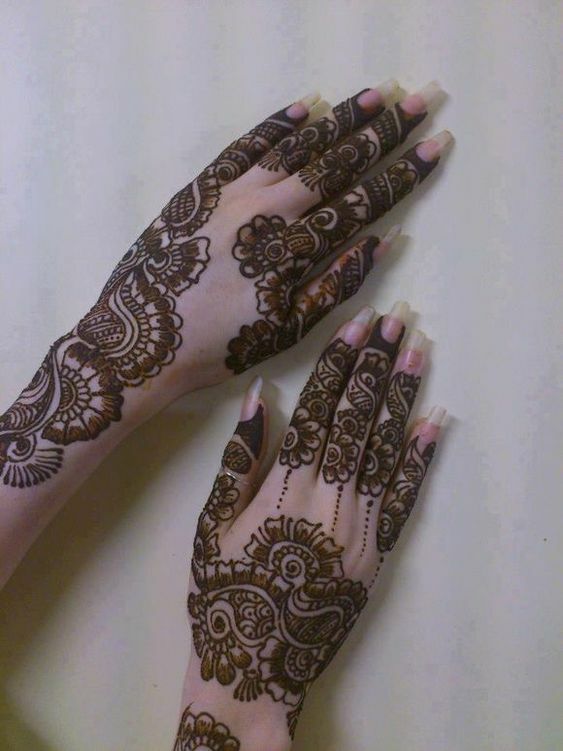 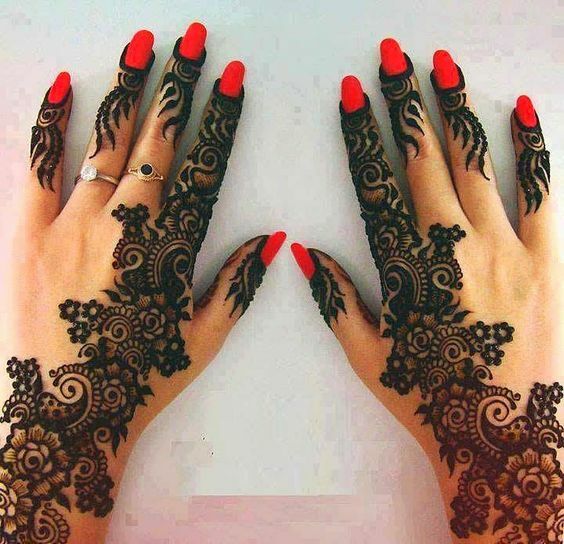 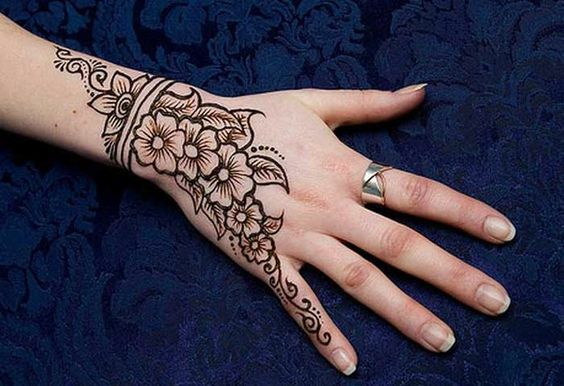 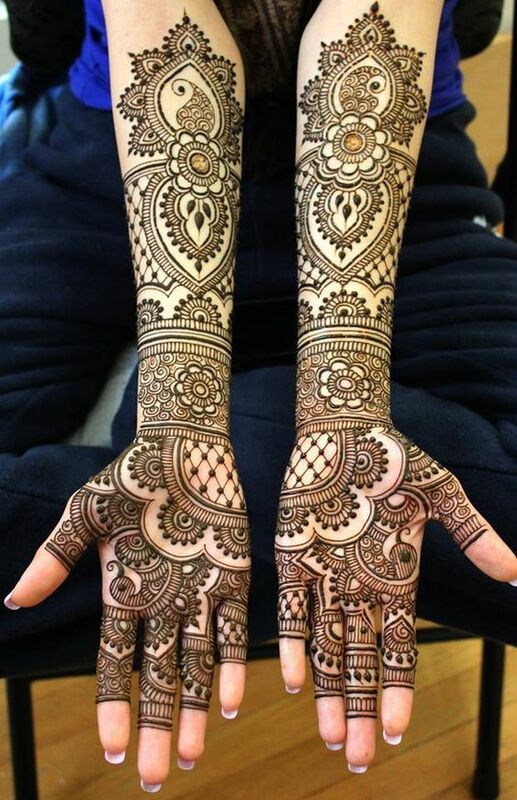 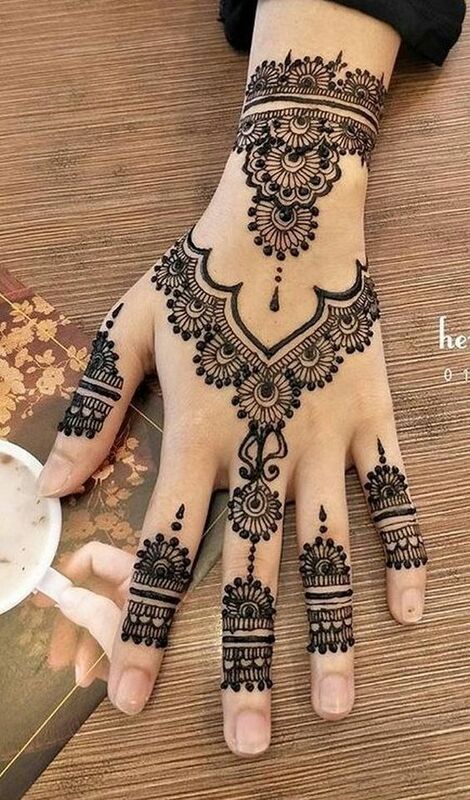 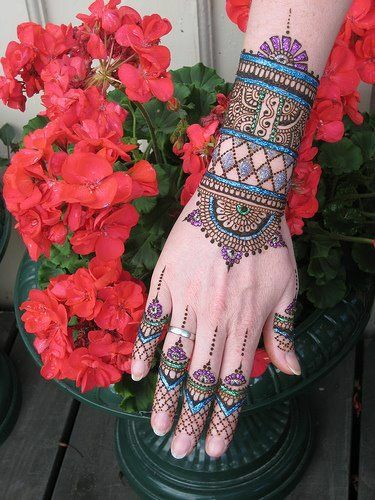 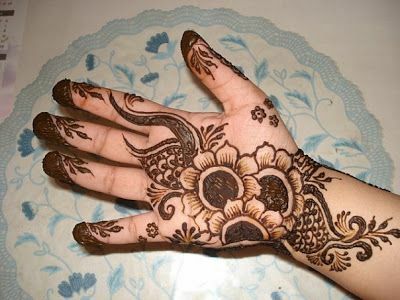 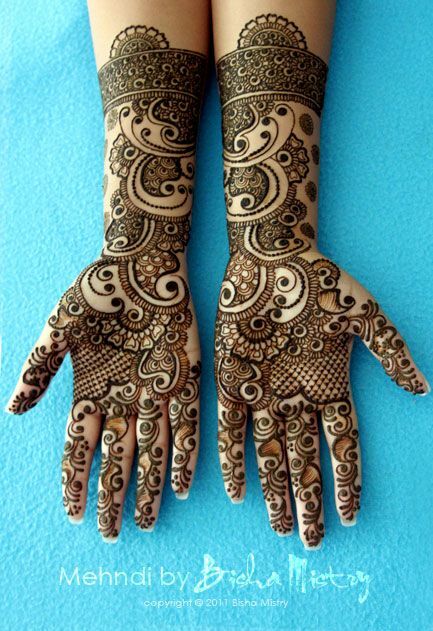 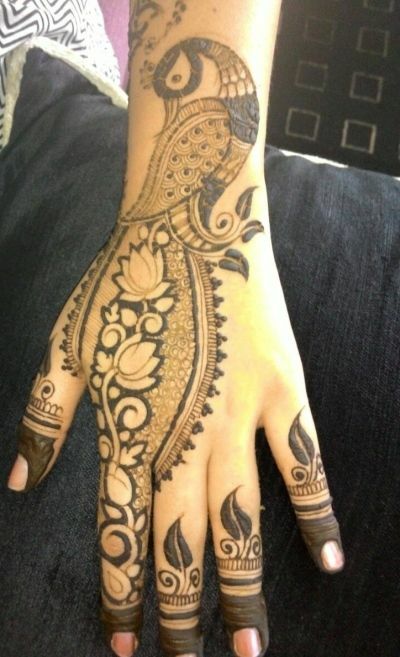 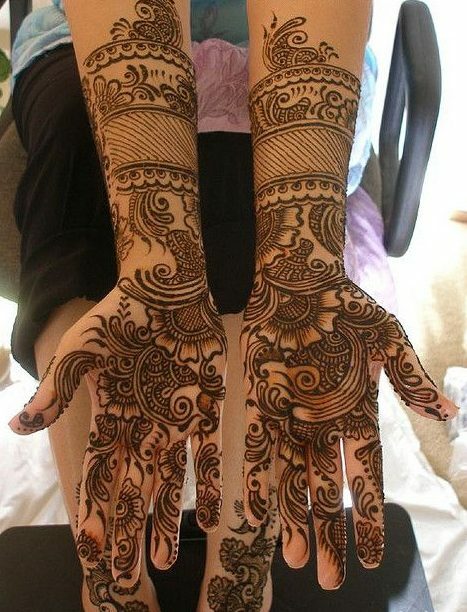 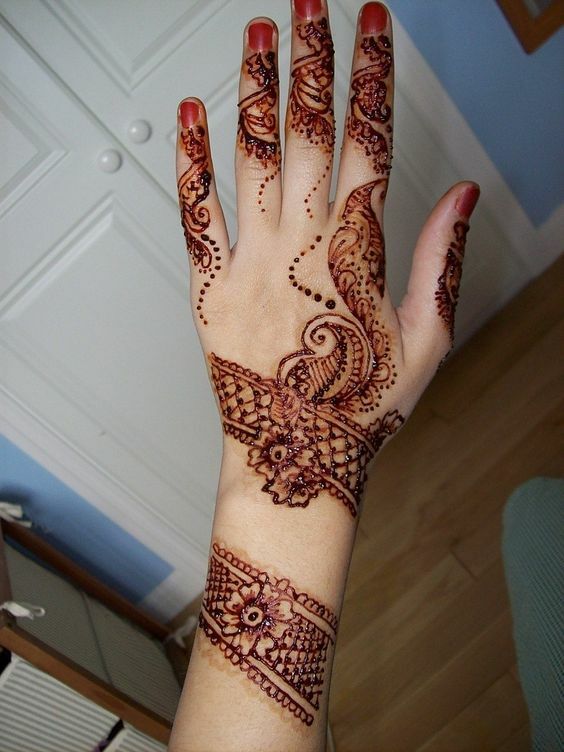 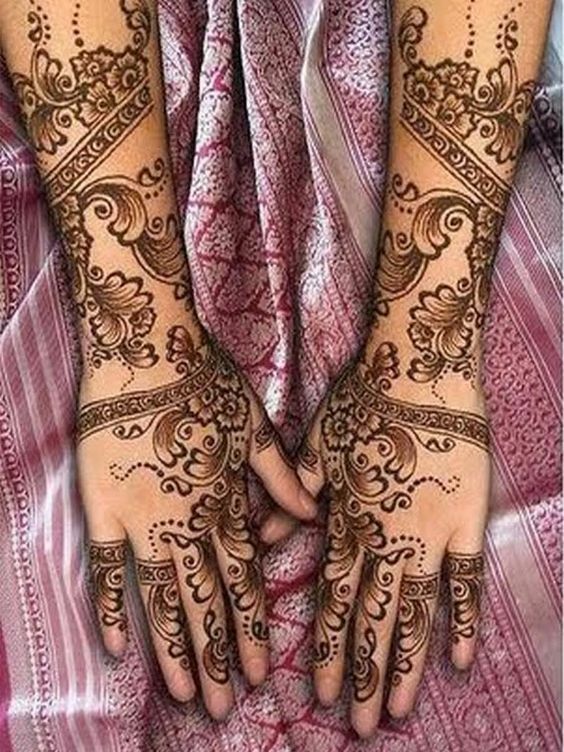 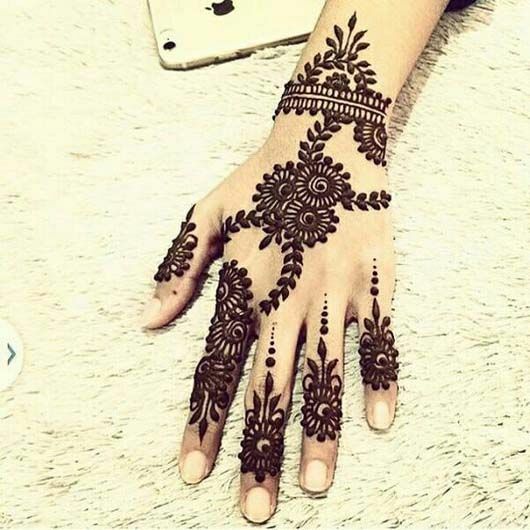 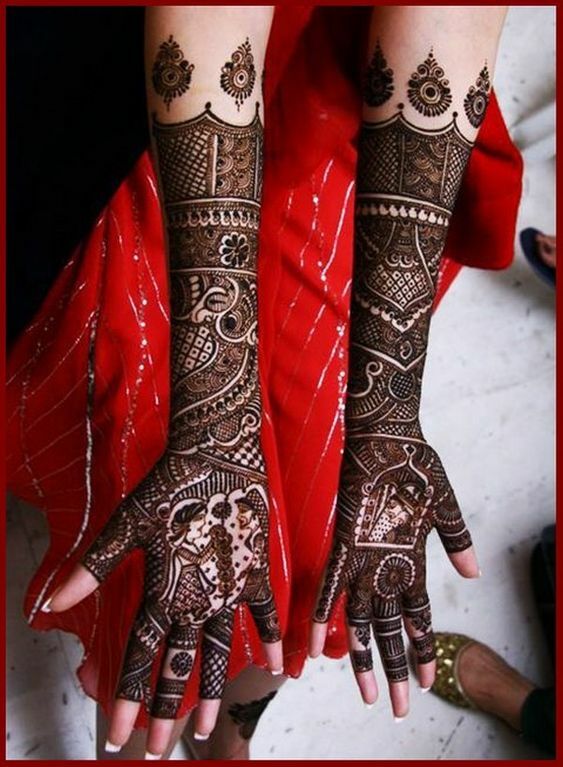 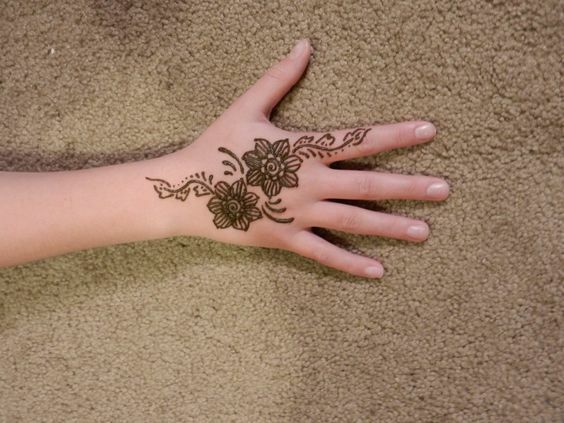 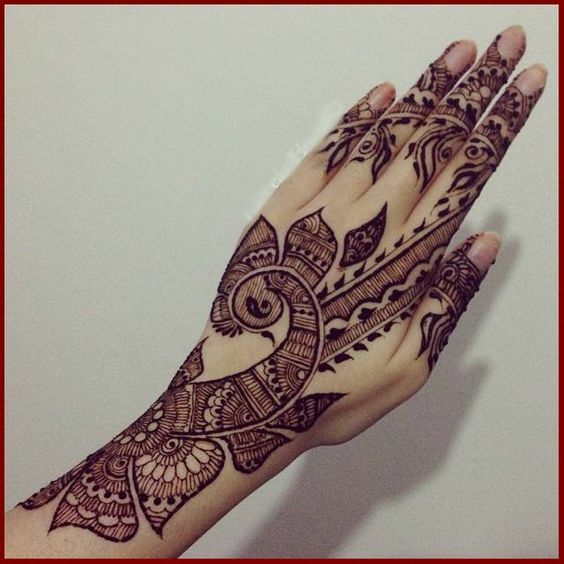 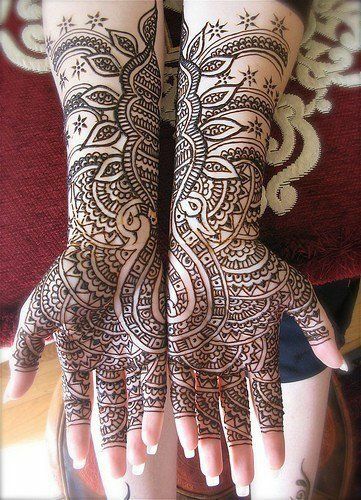 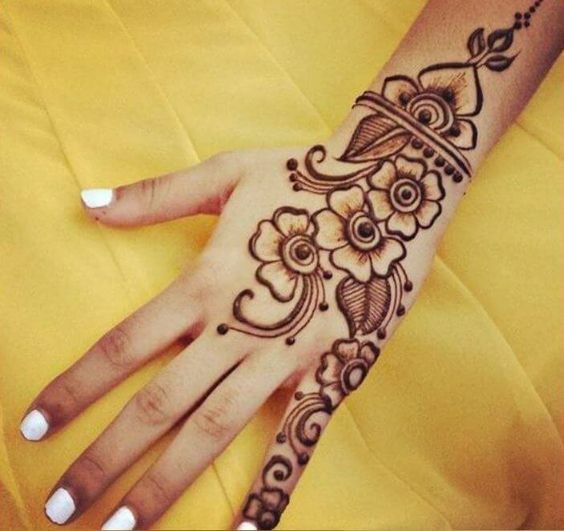 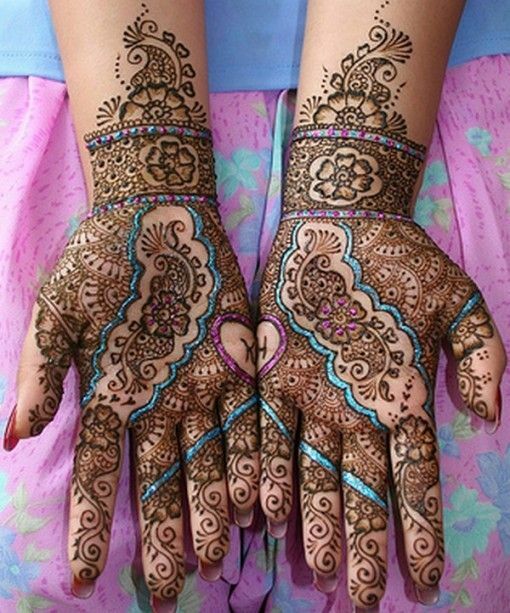 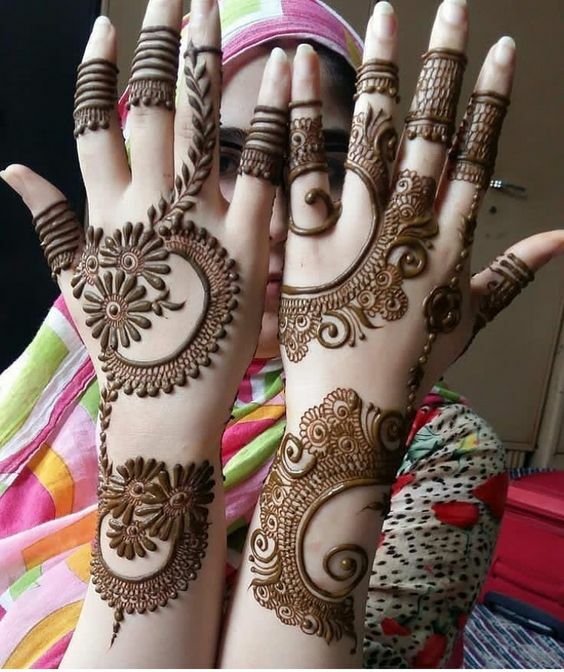 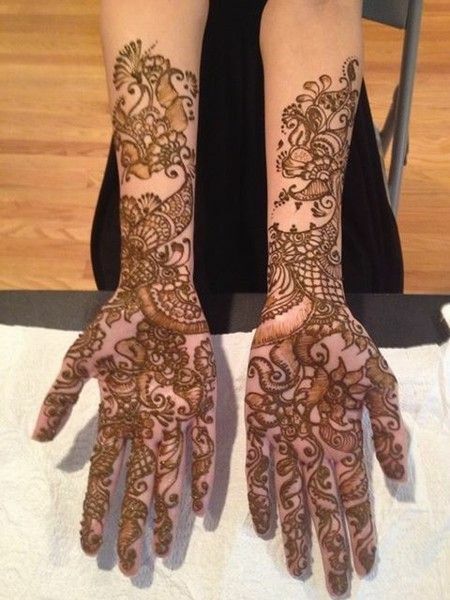 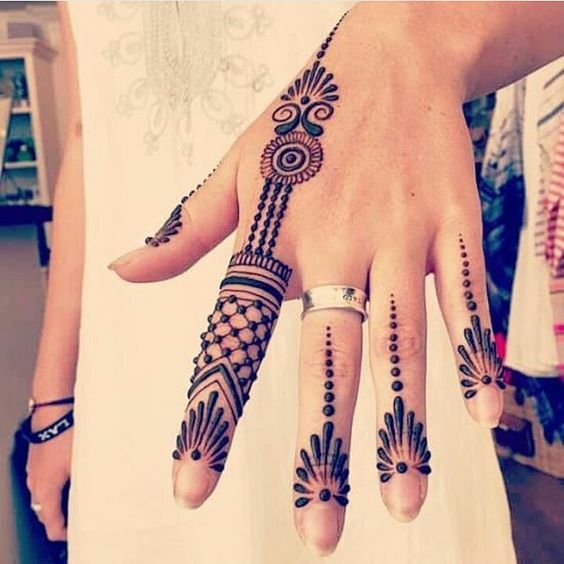 If you don't believe me then have a look at this simple mehndi design which is a sight for the sore eyes. 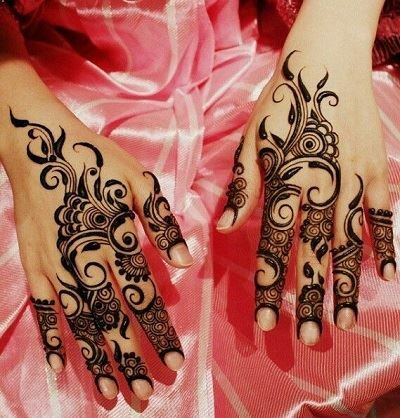 The patterns adn the design make it look very elegant.